13. Concerto in sol a 8 concertanti. Dr. Stockigt is probably one of the best English speaking authorities on JD Zelenka. She did a fine job of tracking down the life of a man who was a Catholic outsider in the Lutheran world of Saxony. The challenge is great because of damage wrought by the fires set in Dresden by the Austrians and Prussians in the seige of 1760 and then the damage wrought by the holocaust in 1945 and then possible Soviet pilfery of the Dresden archives. Whole parts of the Zelenka catalogue are missing and some manucripts are missing sections. Zelenka was not cooperative with historians. He left no portrait and had no children or close students to whom he could have confided his secrets. He kept no known personal diary. Zelenka is not recorded as having married. Leaving so little behind makes the task of defining the man difficult. Dr. Stockigt weaves together a picture of life as a Bohemian child learning music, one which Zelenka must have lived. She shows the world of Zelenka as he matured, from Count Sporck's orchestra to the Dresden hopfkappel. She shows the Byzantine politics of the Dresden Court, the tensions between the Catholics who are tolerated for political reasons and the Lutheran majority who resent "Papist" influences in the Court. We learn of the thread of the Jesuits throughout Zelenka's life, from his education at the Klementium to his life at the Dresden Court. The Jesuits, the feared agents of the counter-Reformation, are to be seen at every turn in Zelenka's adult life. She chronicles Zelenka's triumphs, his downfall at the hands of Hasse and his eventual death and then his legacy as a composer. Dr. Stockigt focuses closely on Zelenka's music, offering analyses of themes, technical points and performance practices. We learn that the Dresden Catholic Chapel had castrati, who went on "strike". 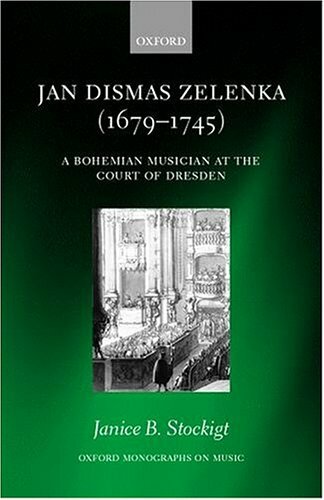 Dr. Stockigt reveals that Zelenka's patroness, the Empress Maria Josepha, protected him and we are shown his loyalty and devotion in return.We learn of her critical role in preserving his musical legacy and in how Zelenka crafted for her fine works of devotion. 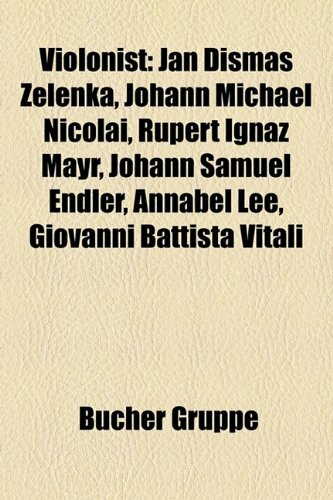 We are gratified to know that many of the best composers of the time esteemed and valued Zelenka's music - even Lutherans who had no great love of Catholics in general and Jesuit trained Catholics in particular. This does not exclude J.S. Bach, with whom Zelenka collaborated on Masses and compositional practices at the Dresden Court. We discover that Zelenka's help was critical to the first performance of Bach's mass in b minor.We are also told of the fellowship and friendship between Zelenka and Johann Georg Pisendel, much admired violinist.We also learn the G.P. Telemann, one of the greatest composers of his day, attempted to publish Zelenka's "Responsora" at risk to himself. Dr Stockigt shows the "afterlife" of Zelenka, from his relative neglect after death, to his legacy during the years preceding the Dresden holocaust, to his hesitant but sure "renaissance" today. It is obvious at every turn that Dr. Stockigt is fascinated with the man, loves his music and shares both with the reader. This book reveals a long gone world, warts and all, to those who value the music of those times. This book also attempts to show, as best as can be done, the man behind the compositions. This digital document is an article from Czech Music, published by Czech Music Information on January 1, 2010. The length of the article is 625 words. The page length shown above is based on a typical 300-word page. The article is delivered in HTML format and is available immediately after purchase. You can view it with any web browser. This digital document is an article from Czech Music, published by Thomson Gale on January 1, 2006. The length of the article is 678 words. The page length shown above is based on a typical 300-word page. The article is delivered in HTML format and is available in your Amazon.com Digital Locker immediately after purchase. You can view it with any web browser. This digital document is an article from Czech Music, published by Czech Music Information on July 1, 2008. The length of the article is 791 words. The page length shown above is based on a typical 300-word page. The article is delivered in HTML format and is available immediately after purchase. You can view it with any web browser. This digital document is an article from Czech Music, published by Czech Music Information on April 1, 2005. The length of the article is 2881 words. The page length shown above is based on a typical 300-word page. The article is delivered in HTML format and is available in your Amazon.com Digital Locker immediately after purchase. You can view it with any web browser.